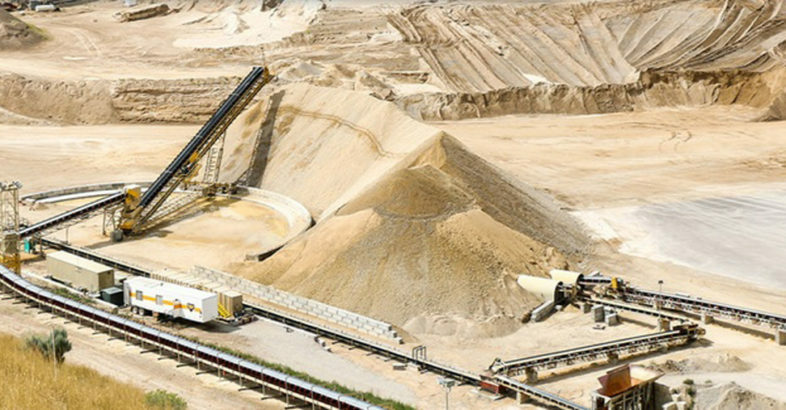 Startup construction aggregate firm, Apex Sand & Gravel, uses washing and conveying equipment from Superior Industries to supply I-80 in Western Nebraska. Founded in 1972 by young entrepreneur Neil Schmidgall, Superior has since grown into one of the world’s leading manufacturers of bulk material processing and handling equipment. In the earliest days of his young company, Schmidgall’s flexible designs helped define Superior as an innovative manufacturer of portable plants and conveying equipment. This pioneering personality was passed on to the next generation and today, Superior owns more than 20 patented technologies. All along, Schmidgall’s vision was simple: serve his customers with integrity and provide opportunities for employees. Forty-five years later, Superior Industries has long-term relationships with customers on six continents and employs a staff of more than 1,500. The rapidly-growing company’s product lines continue to evolve as well, from portable plants and conveyors in the beginning to a near complete group of solutions for crushing, screening, washing and handling of bulk materials today.